A major initiative of AMF is the starting of AMF Training Camps for para-athletes in Cycling, Swimming, Cricket and Badminton from this year onwards. 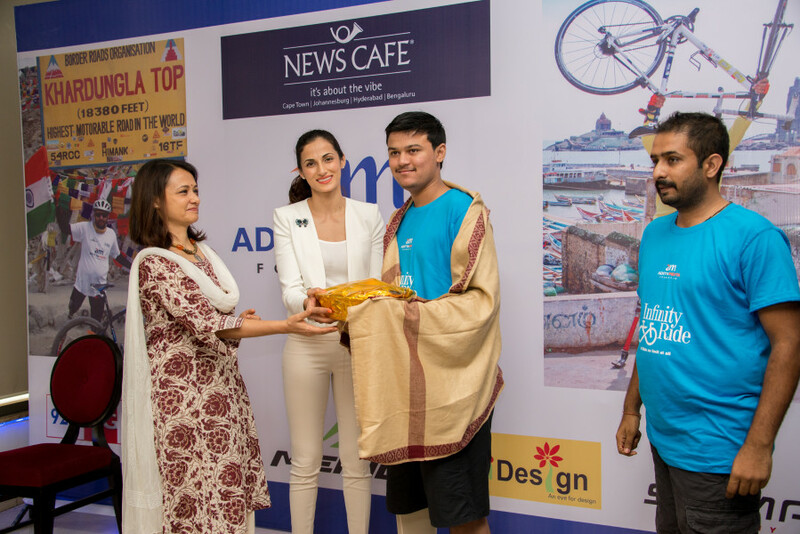 Besides Aditya Mehta himself, who will train aspiring para-athletes in cycling; senior para-athletes Bholanath Dalui and Srinivas Naidu will train amputees for swimming and Girish Sharma will train amputees in badminton. AMF CAMP 2015 is starting this month – April 2015, with 3 para amputees Dharmana Shanmukha Rao from Hyderabad, Rakesh Banik from Assam and Harshit from Pune. Their lodging and basic requirements is taken care of by AMF. AMF will conduct such camps at regular intervals of two months, at Hyderabad.